At the beginning, avid admirers considered it pure gold, now they are startled, Team Lemma has lost its luster. Also, unbeknownst to many, it’s the Isaias stool that is wobbling after it lost its third leg. 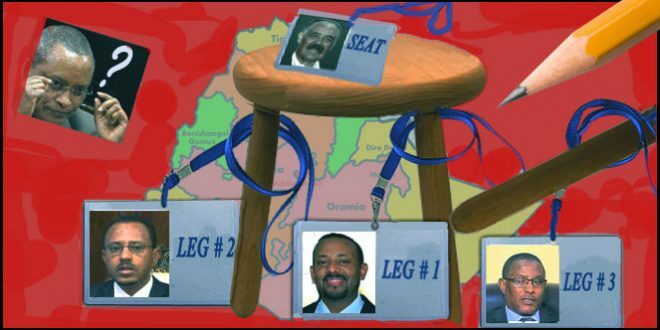 Just like the stool had three legs, Team Lemma also had three major members: Lemma Meghersa, the chair of the Oromo party (ODP) and the president of the Oromo state; the Ethiopian prime minister; and Gedu Andarkachew, the ex-president of the Amhara state. Last July, in several reception functions, both in Eritrea and Ethiopia, an emotional Isaias Afwerki voluntarily (and casually) passed the scepter, a symbol of Eritrean dictatorship, to Dr. Abiy and promised to be his loyal subordinate. But Dr. Abiy had emotionally and repeatedly confirmed Lemma was the leader and that he was a member of Team Lemma, an entity outside the formal government structure. Since the spring of 2018, the three-legged stool effectively sidelined the TPLF, the party that engineered the EPRDF which is still ruling Ethiopia since 1991. The TPLF was also the party that brought every politician and his uncle to the EPRDF and successfully led to the defeat of the Derg regime. Also, several times In 2018, the three-legged stool was used like a Chinese palanquin, a Bajjaj or a rickshaw, to move Isaias to many Ethiopian cities where he received a warm welcome that it seemed he was about to be sanctified. But he was already a saint to his diaspora constituencies–who have much influence in Eritrea (a considerable number of Eritreans are subsidized by their relatives in the Diaspora) and they subscribe to the goal of using the now damaged stool legs to destroy Isaias’ nemesis, the TPLF. After PM Desalign resigned in early 2018, Lemma successfully executed a strategy in a last-minute vote switching to make Abiy legible to be elected the PM of Ethiopia through secret shift of alliance within the EPRDF. Recently, Team lemma’s internal cohesion ended abruptly with the resignation of Gedu Andarkachew who was replaced by Dr. Ambachew Mekonnen, a technocrat who earlier held several ministerial portfolios. Now, Team Lemma’s supporters are concerned the much-hoped for political dispensation might not materialize any time soon in Ethiopia. Amhara elite has concluded the EPRDF has changed beyond recognition and their chance to lead it has diminished greatly. They feel that for better or worse, the OPD has replaced TPLF, as evidenced by their recent stance on the unrest over the status of Addis Ababa. Consequently, they seem to have a buyer’s remorse after buying into the reform agenda. Thus, a change in strategy to better position themselves for the 2020 elections, necessitates forging a new alliance. Meanwhile, Isaias’ gamble to regain political relevance, by relying on Team Lemma at the expense of Eritrean sovereignty, has become a mirage. In addition, his meddling in Ethiopian internal politics was rebuked by Jawar Mohamed, leader of the Oromo youth (Qeerro) who were instrumental in forcing last year’s change. Having replaced the TPLF as a major party in Ethiopian politics, the stool was not content. It wanted to demolish TPLF completely. Gedu Andarkachew’s political and populist constituency’s ambition was not yet satiated. For centuries the expansionist strain of the constituency has controlled Ethiopian (and Eritrean) fate by the tips of its tentacles. It stayed at the helm of power until 1974, the year the Derg, an obscure socialist military junta, deposed King Haile Selassie and ushered the beginning of the downward spiral fall of the expansionists. Meanwhile, the Derg aspired to become the Cuba of Africa and found a godfather in the Soviet Union that embraced it and provided it with war toys of all sorts. The Derg brought an end to the age-old feudal system, and despite its bloody militaristic nature, it implemented an impressive land reform policy that the downtrodden Ethiopian peasants benefited from, relatively. However, throughout its rule, Ethiopians lacked a basic sense of security–extra judicial arrest of citizens and rampant summary killings continued to be a defining factor of Ethiopian life. Corpses were strewn in all places as many suspects and dissenters were killed in front of their families by soldiers trained on Bolshevik violence. But that was not what brought the Derg down. The most serious challenge to the Derg came from the Eritrean revolution which had a decisive role in bringing down Haile Selassie who was finally deposed by the Derg. But the new rulers made a grave mistake by choosing to continue the Haile Selassie scorched-earth policy in Eritrea. In time, the Eritrean rebel organizations embraced the Ethiopian rebels and provided them with training, safe haven, and logistical support. By the mid-eighties, the Ethiopian rebels (led by the Tigrai rebellion) became well-developed they started to embrace, train and support other Ethiopian rebel groups. Thus, the precursor of the current ethnic based political parties, the EPRDF, came into being and gained prominence, acceptance, and effectiveness. Lemma, Abiy, Gedu and many other Ethiopian politicians are a product of the above genesis. Meanwhile, Team Lemma found itself on a destructive path that is putting Ethiopian unity at risk. Isaias didn’t’ lose time to capitalize on the situation. However, many Eritreans knew his goal was not about the people or the security of the region—he is focused on the destruction of his nemesis, the TPLF. In pursuing that goal of destroying the TPLF, he wouldn’t mind if the entire region was turned into ashes. And that is still his individual cause, not the cause of the peace-loving Ethiopians or Eritreans. Isaias has a vast knowledge of Ethiopian history and politics (who doesn’t?) and was confident he has enough leverage over the Oromo constituency through Abiy and others. But he also knew the Oromo would not be that effective in damaging the TPLF. His second bet was the Amhara constituency; he forged a quick alliance with Gedu Andarkachew and his expansionist constituency. Thus, he devised a two-pronged strategy for the purpose of destroying the TPLF: keep a balanced relation with both Abiy and Gedu, but finally swinging towards Gedo who championed thorny issues over territorial claims with the state of Tigrai. Abiy was quick to realize the danger of losing Gedu’s constituency, thus, he moved frantically to appease Gedu’s on his expansionist agendas. That is the reason why he never mentioned Eritrea as a sovereign state, did nothing on the border demarcation though he skillfully manipulated the public opinion and spread a wild euphoria over the region. Thus, he gained local and international acclaim to the extent that some emotional Ethiopians and Eritreans toyed with the idea of nominating him to receive a noble prize for peace. In the meantime, the Abiymania craze is fast losing its luster. Ethiopian Journalists who were intoxicated by the Abiy elixir are coming to their senses—after one year, the curtains are drawn, the spectacle, styled like the USA election is about to end. Meanwhile, violence is continuing unabated. Ethiopians are being displaced by the millions. The economic boom that Ethiopia enjoyed over the last two decades has lost much of its appeal and energy. Fortunately, Ethiopian politicians have started to think soberly; what went on for almost a year didn’t solve the root causes of the country’s perpetual crisis. The Oromo have a serious territorial and cultural grievance that they want resolved. The issues of the Somali state, the Sidama, and the other minorities cannot be appeased by cosmetic changes anymore. Ethiopians in every corner of the country want full citizen-rights, the youth wants jobs, the business community wants security, the common Ethiopian is anxious of the ongoing neo-liberalist economic policies, and Tigrai is existing as if it is a different country, psychologically separated from the rest of much of Ethiopia. In modern history, Abyssinia (Tigrai+Amhara) has been the cradle of modern Ethiopia. Historically, both controlled the reign of power, though the rivalry between the two remains a perpetual malady from which Ethiopia has not freed itself. Team lemma has failed to recognize that problem. In addition, the political situation has aroused strategic thinking among the Abyssinian elite, the proverbial Habesha, particularly Gedu’s constituency, regret their mutual animosity with Tigrai, a hindrance that would deny them the trophy of ruling Ethiopia. That’s why some politicians are lamenting, “we didn’t push away Tigray (TPLF) to replace it with Oromo (ODP)!” It’s that elite shift and awareness that prompted the removal of Gedu from the top position of the ADP, the president of the Amhara state. Now he is an outcast, perceived to have spearheaded or aggravated the Amhara-Tigrai conflict. So, the third leg of Team Lemma, Gedu Andarkachew, was pushed out. And it is too soon to see what changes the leadership of Dr. Ambachew Mekonnen will bring. Nevertheless, the entire region came to age suckling on the over inflated ethnic pride, breast-feeding on Zero-sum game milk, and it seems they are not ready to leave that path. When Isaias visited Gonder, Abiy declared that Isaias’ grandfather was buried there and gave the PFDJ-Gonder alliance a boost. But now, the Isaias-Abiy relation is becoming lukewarm, and Abiy is torn apart because his Oromo constituency is not interested in the PFDJ-TPLF squabbles. Also, losing the support of the Amhara elite will tilt the balance against Abiy’s policies. Therefore, due to his fear of losing his influence over them, he keeps teasing the Gedu constituency with red meat: Red Sea, Eritrea will be back to the fold of Ethiopia, naval force, railways, etc. Finally, the Ethiopian elite is recognizing the face of the man who sat on the three-legged stool, and it is why it broke the third leg of the stool: Gedu. However, free Eritreans have a different view on the entire onslaught unleashed on them—and the following is a humble advice on behalf of like-minded Eritreans. Resolve the historical rights of the Oromo and other constituencies based on citizen- rights, land rights, security, and economy. Tame the anti-Amhara, anti-Tigrai, anti-Oromo rhetoric, and other ethnic rhetoric. Recognize that Eritreans are your sovereign neighbors, not the property of Isaias Afwerki—this issue mainly concerns the Amhara and Tigrai elite, as well as the two remaining legs of Team Lemma. If it is not for noble ideals, keep your hands far, off Eritrean issues, particularly the TPLF. Ethiopia is rich by any measure, it’s endowed with human, material, and natural resources–if it goes hungry, Ethiopians should not blame God. Tame your demons that demand perpetual sacrifices of Ethiopian and Eritrea blood like ancient Mayan gods. If any citizens’ blood is spilled, you are to blame. Reform your Zeraf-zeraf culture and instead, sing a true and genuine song of peace, but not one meant for political consumption and agitation. More problems are caused by emotional and psychological aggression compared to the problems caused by physical aggression—please refrain from practicing that on Eritreans. My commentary I posted some two days ago just disappeared. Waited some time as suggested by some Awateans but nothing happened. I’m trying once again with slightly changed (revised) version. Hope this will do. Thanks. The article raises some important developments with regard to the political situations in Ethiopia and Eritrea. I believe there would be different perspectives of the issues raised and look forward to learn from the debate that would follow. In my view I think there are some omissions and commissions, which may not be deliberate, that may raise some confusion. I point them out so that they are debated. Omissions – The role of TPLF in the current ethnic conflicts. I believe the current ethnic conflicts are the direct outcome of 3 decades of TPLF policy that imposed ethnic politics on the country. This broke down the social relations and fabrics of the society. Any talk of ethnic problems without acknowledging the toxic TPLF policies as the origin seems to me incomplete and dishonest. TPLF will go into the annals of history books to have been the only government in power that tirelessly worked for the division and dismemberment of the country it governs. Other governments, even the worst types, try their best to bring about unity and peace to their people. Commissions – 1) ‘… the three-leg stool is broken…’. I respectfully disagree. First, to depict PIA as the occupant of the stool seems to me inaccurate. The stool, so to speak, is an Ethiopian phenomenon. I saw no role for PIA in its creation. True, the stool has wobbled somewhat recently. Through this wobbling the third leg came to be a bit loose and there seems to be some loss of balance. So, a repair work has taken place and now the stool is back firmly on its 3 legs once again. It is too early to judge the new guy, Dr Ambachew, but on the whole, I think he has started well. By the way, the Team that is leading the change is a spontaneous, informal power base. By its nature it is not expected to last long, it has to morph into a more formal, structured, and transparent political entity. We shouldn’t forget that the Team is dealing with decades of mismanagement, and intricate political, economic and social problems and its path is not going to be straight and smooth. There will be a lot of achievements but also many failures and drawbacks. I’m afraid it is gona be ‘.. Two steps forward, one step back’. .
2) Another point is, ‘Jawar as leader of Qerro..’. In my view he lacks the basic characteristics of a typical leader. He is neither elected nor appointed by anybody but a self appointed, self promoting ‘activist’. From what he says, writes and does, he has no principles except ethnicity. He tells one thing in the morning and says the opposite in the evening. He rides the emotions of the angry, wild fox; the impatient, unemployed rural youth. Through his media he agitates to kill, destroy, maim, and plunder. In short, he is an anarchist, a new type of anarchist, an ethno-anarchist. 3) I differ also from the view that PIA’s ambition is to destroy the TPLF. I’d argue that the evidence does not support this claim. What about this argument for which, I believe, the evidence is so clear – ….. Impressed by the promising changes taking place south of the border he extended his support and friendship to the new leadership. He was warmly received by the Ethiopian leadership, i.e. Team Lemma. As is well known, by then the TPLF has barricaded itself in Mekele, wrapped in its ethnic cocoon, and was busy opposing, distorting, disrupting whatever Abiy and his team said and did. PIA, as leader of a friendly neighbouring country, followed what protocol dictated, that is, talked to, visited places, etc. as arranged by his hosts. A friendly president can’t be expected to deal with a breakaway provincial power. If TPLF found itself isolated and left out, it is its own making. From what I can see PIA did nothing directly to destroy or support the TPLF leadership. A lot of people say that PIA is angry with TPLF because of what it did to the country it was intrusted to govern fairly, and also to Eritrea during the last 3 decades. Frankly, if that is his position who would blame him? 4) There is a point of view that suggests the Amara are expansionists / the land-grabbers. In my opinion the evidence suggests otherwise. Just consider – some 3 decades ago geography books clearly showed that places such as Welkait, Tsegede, Humara, Raya, etc. were in such provinces as Begemder, Wello, etc, i.e., Amara region. Now we find them in Tigrai, showing TPLF appears to be the land grabber. 5) The discussion of ethnic problems of the country reflects the reality well but there are also encouraging developments in some regions, e.g. the Somali region. For some time now, the ethnic conflict involving that region has abated. Now, the region is being led by one of the most gifted politicians the country has ever seen, Ato Mustafa. He is young, articulate, intelligent, and internationalist oriented; he loves his Somali people and so does he the other peoples of the country. I feel he is a good example for other leaders of regions to follow. A potential future prime minister of the country, no doubt. Finally, I really like the recommendations and I raise my hand in support. Thanks. As usual your articles are getting a very wide feedback pro and against. Awate. com used to conduct opinion poll on issues and I wish if it continue to do that as polling attract more people including those who do not participate in the forum. Selam community. What a day it has been. Pres Isiaias’s very-very much hidden personal advisor (above and beyond the Charlie’s & Monkies) and far more adep and covert than Getachee Assefa could ever imagine being in comparison, as very few know of him or the role he has played over the past 35 years, is now mounting a major challenge. The power ploy is strong as this individual has full backing of the U.S. The house of cards is starting to fall. I am not sure I understand what you are saying but sounds interesting. Can you elaborate please. As I have understood this guy: First, he didn’t mention the name of the “very-very much hidden secret personal advisor of Isaias” to arouse our expectation from Isaias office. Secondly, he spices his arousing with the USA. Lastly, he takes us back to Petros Solomon and his conflict with Isaias. What does Mokie intend from his comment? As all Eritreans understand at present, Eritreans are united against Isaias and his regime. Mokie attempts to take us back to their code of DIVIDE, DIVERT and DEGRADE lastly the people of Eritrea. It really is exiting times and at this rate, it will not be long the people inside Eritrea, the government workers, the teachers, the students, the parents, the youth, the army to say “Enough” and it will be the of Isayas Afeworki. What seems a mountainous task will crumble within months even weeks. And that’s how dictator regime falls down, and the country will transition to democracy. I have faith in the wisdom of the ERITREAN people, for the same way they achieved miracle in the liberation front, they will equally make miracle in creating, just and democratic country and society. Everything the PFDJ tried has failed and the people stayed united . I wonder what those PFDJ luckies are wondering about now? Even those Hakilom zneberu like meskerem are saying enough. I was watching Yemane Teklegheris part 2 interview yesterday and it’s quite amazing. Let’s see how quickly tSatSe is going to start his campaign of discredit. Pure ELF was their punching bag for far too long, now what are they going to say about all those “Enough” movement from all over. I like the girl WeHazit challenge to the PFDJiets, instead of hiding behind screen and insult, why don’t you start your own campaign of “Its not Enough” to have IA and why that is, so they can convince us. Haye, Haye Belu beAal MS, Nutricc, Blink, tSAtSE. The momentum is gaining traction faster than we could ever think. I think it is a high time all pressure groups, human rights activists, religious personalities and all political parties call for ሃገራዊ ዋዕላ to chart ways on how to transition as smoothly as possible in the event the PFDJ regime collapses lest destabilizing forces take advantage of the power vacuum which could further exacerbate a nation hinged on uncertain future. I don’t think we need to worry much about who is going to take over Eritrea, there would not be any Eritrean who is going to worst that these an “internal enemy” to the Eritrean people. Yes I agree, meeting, conference is important but I think, it is more important we have with a strategy / a blue print to change the momentum into action. I think a great thinker like you can help draft such document:). “ኢሰያስ እንተኸደስ መን እዩ እሞ ክትክኦ” ዝብሉ ሰባት are those individuals who don’t know how leaders could be borne from people’s movement. Leaders sprouted out from the objective realities to lead the the required changes. You don’t Search for leaders. Leaders are the natural product of a movement. If you are not worried how the end of IA unfolds, then I would urge you to think about this really hard. I am not overly concerned about bloodbath because I don’t think we have intersocial grievances. Unlike you, I believe that the Tigrinya people are equally suffering at the hands of IA, probably a lot more. The regional feud is not to a level that amounts to all out infighting. But my worry is anarchy and chaos that will likely ensue. Those of us that have been out of Eritrea for decades are completely out of touch with our own people’s everyday issues. We can provide lots of technical expertise but not political leadership. Who could argue politics is predictable? We can fear from negative outcomes, but we can not predict with “certainty” the outcome of political discourses. Who could predict the racist, misogynist Trump will be president of the US? So I am still optimistic on the fate of my people, that will overcome the current political crises. We don’t have “social crises”. But yes, we have “political crises”. I honestly believe the Eritrean people will learn and mature from the current chaotic political discourses and will come to some collective understanding, where we could listen to each other’s grievances. It is by coming to such understanding that we can the current history to a positive history. I know for many politics is a frustrating thing that discourages many from involving. But isn’t politics by nature is a frustrating discourse? The Eritrean are coming closer and closer to each other, and for sure they will prevail. Be optimistic. Without being optimistic you can’t be in the struggle. Selam Amanuel, I am optimistic but all I am asking is the downfall of IA has to be a controlled demolition like when buildings are rendered out of date and commissioned for demolition. Authorities don’t just blast the heck of them. The demolition is controlled to minimize collateral damage to people and properties in surrounding areas. The best opportunity for change was in 2001. We need such kind of powerful, trusted citizens within Eritrea leading the change. We can’t do it by remote control from the US and Europe. Estimates are 12% of Eritreans have fled the country, that is a lot of people but there are much more Eritreans within Eritrea. At this point now, the best case scenario in my opinion is a military coup (hopefully with little to no lives perished), arrest IA, the two Yemane’s, Osman Saleh, Alamin Mohammed Sied, and Hagos Kisha and known notorious military leaders. Let everyone else go home. Then the military stabilize the country for a year or two and then form a transitional government from respected, unifiiers, capable Eritreans from within and solicit technical assistance from Eritreans in diaspora. This idea of forming an exile govt will be dead on arrival. The discussion you had on what kind of tomorrow the demise of the despot and his regime might leave behind is interesting. It indeed is a source of serious concern of majority of Eritreans saves for the surrogates and loyalists who see actually no tomorrow because they believe the despot, or the power he installed, are “immortal”. Absolutist systems often than not end up in power vacuums and deadly risks. The only safeguards are awareness and selflessness of the elites. How the next day after the despot disappearances in our case is going to shape up will also depend on Eritrea’s hitherto disoriented elites. In my view, it is farfetched that the political and organizational set ups would be able to produce a unifying person or persons capable of filling in the gab of leadership. It’s improbable that we can produce an above-all-contradictions leader over night when we know we had failed to do so in span of decades of our struggle. Fragility of our social set ups and retardation of our pursuit to erect nation-state institutions had left us with the way open to an egocentric despot to emerge and wreak havoc to an already devastated nation. In the situation we have, thus, the best bet, in my view, for us Eritreans could be a speedy search endeavor of means to produce collective principles enshrined in a national covenant worked out at across-board conference. This will at least establish common reference to safeguard national unity, which is crucial for territorial peace and social cohesion. Such a covenant of principles could serve as reference to a collective leadership that could take over reign of transitional order in the immediate period and would oversee security and basic needs of society as prelude to a properly phased transition. I completely agree with you that change that is sustainable only can come from Inside the country. Any thing that comes from outside will not have the majority of Eritreans inside or outside the country. Let people inside the country who saved the country from TPLF aggression and endured the tough no peach no war situation of the last 20 years have the chance to lead the country. Why do you expose the people of Eritrea to an open condition? Isn’t it better to prepare a transitional government? I think, all opposition groups should come together and prepare to make the transitional period smooth. Frankly, the idea of let it open is very dangerous. Anyhow, any guy who has a small portion of idea that he will lead Eritrea outside the ballot box is totally mistaken, therefore they should prepare themselves to compete with the others through the ballot box. In the future, Eritrea will be ruled by democratic institutions not by individuals. The group that misses this reality will certainly be a loser. The people of Eritrea are not ready to run after individuals or groups. I hope, Ustaz Hidrat, you think about safe transition. Your concern and your understanding reminds me the argument I had in 2003 in the conference of EIDM. I was challenged by members in the conference that “movements” are not political organizations. The debate was on whether EIDM should be a “grass root movement” or “political movement”. In fact some of them were well read that one would not think they will miss the broad meaning of a “movement.” Correct me if I am wrong, but your concern on my comments sounds like my colleagues of that era. Ustaz, when I said leaders are born from the objective realities of movements, it does not exclude political organizations or political parties. The current movements (struggle) as broad as it is, it comprises all kind of organized movements. If you still believe “political movements” are not “political organizations” let me know. But movements can be for limited specific advocacy or for broad political ends. Second, regarding about the “political transition” on how it should be, please refer to my article, “Tunisian mode: Analogical reasoning for Eritrea’s Democratic transition” of Dec 29, 2015. My stand is clear on political transitioning. Agree or disagree on my position, no ambivalence and no vacillating on my positions. Win or lose my positions are clear. In the Eritrean history, we have “The Liberation Movement” that was “ማሕበር ሸውዓተ” in Tigrinia. I think, “Political Movement” is the first phase of “Political Organization”. I didn’t read your article or may be I have read it and forgotten its substance. Concerning the Tunisian mode, it has faced a lot of problems and almost at last owned by the old guard. I think, we have to take lessons from all experiences in the world and endeavor to evade all mistakes as possible. Utaze Hidrat, I think it is better to make our stances flexible and mobile to fit facts on the ground and to give way to lessons we have learned newly. “ I think, Political Movement is the first phase of “Political Organization”. No Ustaz. It is not the first phase only. There is no phases for a movement to transform other kind of political organization. “Movements” can be a political organization from their inception. Let me give you two Examples: (a) The “people’s movement for the liberation of Angola (MPLA) was a political movement that brought the independence of tha Angolan people and are as ruling party till this date (b) The Democratic Movement of Mozambique (MDM) is a political party in Mozambique. So in short it is the nature of their political platform that defines them as to whether they are “political organization or political party or civic movements”. The word “movement” does not identify them from political party or political organization. I hope I am clear now. I hope your feedback for the following definitions of Wikipedia. By bringing these definitions from Wikipedia, I don’t understand what you are trying to convey for me. Are opposing to my argument and the examples I gave you? Are you trying to say there are no “movement parties” or “movement political organizations”? I have accepted your definition, but mine also was not far from that of Wikipedia. A movement could continue as movements, however their policies develop, there is a policy change though the name may not change ( this may be due to the people who might not grasp the new name quickly). As you said it is high time to mold a transitional government. We have already a base for this process that we should benefit from it to speed the process of making a road-map agreed upon by all. There are groups like the Eritrean Democratic National Council with a road-map for the transitional period prepared in Awassa. The other groups may join this group in a congress and make the required changes in the road-map already exists. I think this will make the mission easy to all. We could build on something the outcome of wide national congress that took place in Awassa. You can dream as much as you want but change can only come from inside the country not from Yeakil flavour of the month crowd. The people who will lead the country once there is a change of Gov will come from inside the country not TPLF apologist from diaspora. The silent majority are not swayed by the pro or against at this time. I have seen Yemane Teklegheris marathon interviews. Quite frankly they are embarrassing. If you believe such a speaker with clear credibility issues vivid in his interviews, then all I can say is you Berhe Y Aarkey are in dire need of any and all pronouncements that paint Isaias and his Eritrea in a negative light. No matter how incredulous it is to those with clear and sound minds to you it is words spoken from the highest priest of an occult and you accept it by saying “amen” and “halaluya.” You giddy reaction to the interview is a function of your state of mind and NOT as a consequence of hearing truth. Yemane T does more to hurt the cause than help it. He is currently high on ego and celebrity status he is accorded as a result of writing a historical fiction to an audience that is thirsty to hear exactly what he wrote from an “insider perspective” – Give me a frequent break!!! I will pass. 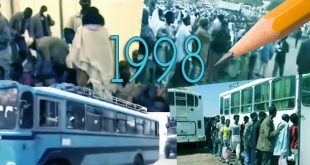 On the “Enough” folks let me just bring to your attention the following: During Eritrea’s war for liberation, in every town, city and state on this globe the number of Hafash wudubat outnumber the single individual video clips of “Enough/Yiakil” and the few groups here and there by thousands folds. That is if you quantify the effort of then number of people thus far broadcasting “Enough” and compare the number with Eritreans organized all over the world in support of the EPLF or ELF, the difference is day and night. The only difference Today is that any fool can take a video of themselves and broadcast it to the world. The effect however will be a net effect of zero. After every vain Eritrean and a few standing in a group of roughly twenty has had their fill of being in front of the camera, then there will be fewer and fewer posting until it finally fizzles and dies out as a passing fad of early 2019. Don’t get your hopes high up for you will be disappointed in the end. Your ears are tuned to be pleased by certain sounds and I understand all of your excitement is due to your state of mind tuning in to hear the exact sounds the modern day DJs are producing for there is a market for it. The consumers being folks like you who are deluded to believe actual change will be ushered in by such actions. Reality of things however is a lot more complex than that. If it was that easy, and it is NOT, I tool would have gotten a hair cut, shaven by beard and mustache, put on my best suit and stood in front of a camera – my handset- and declared “Enough!” Like I said it ain’t that simple unfortunately and so I will instead register mine here by declaring “Enough with this silly an futile exercise of Enough videos!” Enough! I think your knowledge of “peaceful resistance” or “public revolt” is very limited. You have no idea the difference fighting a foreign power and an internal power. As a mathematician you should know that, just because “A” happened and resulted in “B”, it doesn’t mean that “A” needs to happen to result in “C”. If you are saying, the PFDJ government will be removed via Civil war and armed struggle, you are wrong. What you see in those FB page and “enough” movement is showing Defiance by people with clear message without any ambiguity. What I think people like you should do is, don’t try to down play weather it will result to something or not, what you should worry about is…how you have “Not have enough of Isayas Afeworki” rule. I think the logic goes as such: If “A” happened and resulted in “B” and if “B” happened and resulted in “C” then if “A” happens then it would result in “C”. But if there is no connect between “A” and “C” then of course “C” could be the result or not. What does “C” have to do with “B” or “A” in your logic above. It is completely arbitrary. Arbitrary is also the dream of seeing change in Eritrea with “Digital Eritrean Opposition.” It will only take physical action in Eritrea to effectuate any change. If the Eritrean people muster up the courage to finally stand up until they effect the change they need irrespective of the consequences such as the violence that may ensue then and only then will we see change in Eritrea. The question to be asked is: Are the Eritreans in Eritrea willing and able to finally stand up and demand the change they desire? Are they finally prepared to pay whatever the cost is to get out in the streets of all the cities and towns to demand the rule of law for Isaias’ Eritrea? Do they feel they are governed by lawless leadership and it is time to put a stop to it? Digital Opposition can produce a million and one “Enough” videos and will affect absolutely NOTHING. My math may be arbitrary so does your reasoning. It took 400 years for Indiana’s to stab up against the British. 100 thousands British were ruling 350 million Indians. Ghandi showed them, the first thing to do to fight a dictator is to be fearless. Exposing the dictator with accurate and Infrormation is half of the battle. If information is not relevant, you would not see the dictator shutting down the press, arrest all journalists. Have you seen the book that’s published by the sister of the late minister of health. All the sudden talk these people coming out and exposing the dictator are “digital opposition”. I will ask you the same question you asked me, only reverse it. Do you think the ERITREAN people are in capable and willing to fight the dictator ? Do you think the ERITREAN people are in capable of paying what ever cost to fight and remove the dictator? Do you think the ERITREAN people are governed by law abiding government? You need to know what atomization means when fighting dictatorship. The reason IA, dismantled UoA, shutting down the churches, taking young to Sawa is to atomize the young so they are not united to device his downfall. This also use to be the tactics played by the likes of you to discourage, to blackmail, to discredit any possibility of exposing the dictator by giving all kinds of names and installing fear, weyane, elf, etc. If it is truly “the likes of” me, then I assure you there has not existed any any discouraging, blackmailing or discrediting “any possibility of exposing the dictator. Folks like me were at the forefront, and immediately after the dictator’s transgressions, doing the speaking up or exposing ahead of everyone else long before it was fashionable to be part of “Digital Opposition.” Folks like me reject any narrative based on absolute lies such as your new found buddy Yemane Tekelgiorgis. If any thing is based on a lie, no matter how much the people are eager to hear bad things about the incumbent, then folks like me urge everyone to reject it as it would be detrimental to the cause. What we have today in the “Digital Opposition” is an explosion of long winded personalities making up any kind of dirt and lies, just because the Eritrean People have an appetite for it, and basking in their fifteen minutes of fame jumbling up all the unnecessary excesses of lies thinking they will produce an angry ready to fight opposition. In reality they have only added to the MuQzumzam and dangerous level of apathy by the people since what they are hearing is a hopeless and helpless bunch of lies and deception which is cause for the people to be turned off from any kind of genuine resistance. All these modern day pundits have sharpened their skills of telling fairy tails and the only thing they are interested in is the limelight, fame and temporary feelings of self importance. The genuine real transgressions by the dictator no one can keep it from coming to light, but the ridiculous and insane blitz of made up fairy tails is very hard for folks like me to condone and allow the Eritrean People be affected by them in averse ways. The Eritrean people are not necessarily believing all the narratives from “Digital Opposition.” They are becoming apathetic as a consequence of the lies being waived. They tend to retreat more to themselves as the alternative equipped with more lies than not seems not to be a hopeless alternative. So, when folks like me selectively point out the ugly and ridiculous in the very think soup of “Digital Opposition” it is for the sake of the cause. To answer your questions, YES I do not believe the Eritrean people have the capability to effect change as things stand as they are. Their capability to methodically build a strong resistance have been weakened by the “Digital Opposition’s” chaotic, insane and inconsequential narratives that arises solely from their figment of imaginations. Look no further than your poster boy Yemane T and his alibi-weled horribly being marketed as something with merit. Frankly I am disappointed in your capability to discern the good from the bad. Even worse are your enablers and cheer leaders who knowing the truth of the matter they suppress the better side of their intellect and indirectly endorse a book that is not even worth to wipe one’s but. One such intellect who allows the mouse to path for the sake of the over, unfortunately, is our very own Ayya Amanuel Hidrat. Folks like me are speaking out to help you choose better for a foundation to a strong resistance. We simply don’t accept every fickle nutcracker with an over active imagination to hold the microphone in the internet to sell us pure rubbish. Folks like me are for your own good. You will learn to appreciate it later unfortunately. In the land I grew up, accusing someone being a liar Ida huge deal, specially if it’s your elder. So far you repeated to discredit Yemane T. as a Iiar without really giving a credible battle what he is lied about. Except you say, his face, his eye movement etc etc.. all mean nothing except to install doubt in his story and discredit him. The only way to prove if he liar or not us to bring counter argument that refutes his story. He names names, he names dates, he names places, etc how does that make him a liar. What’s sad about you is you have ample evidence to know the fact and the record of IA and his cruelty, at least since we knew him after sept 2001. So what happened to you, did you fill nay TaEsa wereqet. How things have changed for Eritrea for the better to make you Habte your mind. And you stop for being on the right because of the opposition? What happened to being “principled” and stand for truth, you speak the truth for your own concise, you do it for those that can’t speak for themselves, you don’t look for excuse. Your presumptions are strategic. It is due to my principles that I maintaining the trend of though I am sharing with you. Your attempt to paint me as a turn coat serves you to hear all the lies and false narratives unhindered. You are deluding yourself to believe that what you are hearing is from a turncoat or a supporter and hence is not valid to discredit the garbage you are consuming. I need not reiterate what my stand is in order to give weight to what I am saying, Even if the same what I am saying is coming from an Isaias enthusiasts, it would be the truth. And as you have said future Eritrean graduate students will be reading AT forum content to understand the bizarre world of “Digital Opposition” of our era. And I assure you that I am confident they will be able to sift out the good from the bad and the ugly. If I say Isayas Afeworki is a liar I can give evidence that he is. For example, when a journalist asked him “where is Jashua (Fessahaye Yohannes, the journalist) he said I don’t know him. He asked him where he might be, he said I don’t know him and if I don’t know him how do I know where he might be. That’s is pure lie, because soon enough there was a picture that surfaced IA with the journalists and there was the interview he had with them (advertised the president gave 4 hours interview). This is an example of how you prove someone is lied. You did none of this except, calling him Yemane T. a liar. Do you also call Saleh Mekhi sister a liar. She wrote what happened to her brother and she wrote what happened to her and her project and what happened to the medicin her brother brought? I suggest the following movies for you for the weekend. Can you tell me more about Joshua -Yewhaness? Is your ask for real? If so I can try to search and find the interview? You could also direct GitSAtSE to a forest of lies by Isaias in his interview with aljazeera (the British journalist) before ten years. At that time GitSAtSE might be a kid. I am sure Tsatse Arkey is pulling your leg. Every Eritrean knows or has heard of the interview. It was the post-independence “ዝተወደአ ነገረ’ዩ” moment for the rest of us. Do you remember Aklilu Zere’s epic expose,’ “The Birth Of Despotism”? In it, Aklilu writes that, when the real deal of the Front were gathering and sitting around Isaias, Affa asked Isaias the whereabouts of the መንካዕ guys and Isaias in an intense voice tersly said, ዝተወደአ ጉዴ’ዩ! Brother Berhe Y has provided you with very important points to move you from your state of mind or to show your logic is totally wrong and there is no base that supports it. I will go further to expose vacuity of your maths that you are accustomed to create to confuse in a simple way. My friend GitSAtSE, I think you remember in 1991 Isaias had the support of majority Eritreans that is 99% . That means the fish was swimming in side a vast ocean. Gradually water started to evaporate and the ocean changed to sea, lake, pool and now the fish is in a dire condition to swim. The more you take water, the more you evaporate water the more you dry out the pond the more the fish will be without water to swim and this will certainly lead to the moments of catch (ሓዞ ሓዞ) the fish. Aha! This is an Aha! moment for me. Now I have an explanation why Isaias’ Eritrea was so over occupied with building dams and micro dams, like Addi Halo. The anecdote to or the countermeasure to the evaporation and emptying of the pond is to build dams and micro dams of even more bigger ponds. Where as the “Digital Opposition” is to celebrate the emptying of the pond due to their stubborn spearheading towards their “HazoHzo”, the new ponds of dams and micro dams is to be celebrated by who else but the Eritrean farmer. And some build dams and micro dams to conserve water. Now your turn to give something that is positive and additive about your “Digital Opposition.” I know it is difficult for the reductionist methods – by your own account of emptying the pond – but try you must so that you can utilize better your talents and intellect. Give an example similar to mine. Make up a positive thing about yours if you have to in the event you find yourself not finding anything positive. How dya likes dem apples, IT is Mathematics amigo. I know you are accustomed to beguile readers by sophisticating and covering yourself with maths and IT. You might have a little knowledge about it but you are not an expert in it. You are just a consumer none producer. Could you provide Awate.com or your DIGITAL ROLE to the dams you think made Eritrea heaven. I think before weeks or months you were celebrating that the people of Eritrea have gotten food from Ethiopia. Now tell me, where are the products of your dams you brag about. The ocean, sea and pool I was speaking about represents the people of Eritrea and the fish represents you boss. The more the number of people who oppose Isaias the more his end will be nearer than you expect. Your DIGITAL SUPPORT will not spare Isaias from the moments of catch ( ሓዞ ሓዞ) the dictator. Oh GREAT now I have a fish for a boss. How creative, it isn’t because we are at the dawn of the age of Aquarius or the sunset of the age of Picies. Kill the fish the fish becomes our boss. I see your DIGITAL SUPPORT and I raise you DIGITAL OPPOSITION. It is good you have returned back to your hole. Hi Tsatse, you make extremely compelling points. I too think it just ain’t gonna cut it. It seems like begging to me to say ENOUGH. Okay, IA and his regime are saying not enough. Now what? One of the issues I have with people in the diaspora is that they oppose for mainly personal reasons. There are very few who convince me that they care about ordinary Eritreans. Most of them have amassed a ton of wealth and are bored to death. They want to go to Eritrea and flex their financial strong arm on poor Eritreans. It’s all about power in all its forms. Many others are basing their opposition on pure hate and animosity to IA and members of PFDJ. As you said, the hafash wdubat movement had only one objective and that was Eritrean independence. It’s quite to the contrary at this time. I can tell you the is nothing further from truth what you described as a reason “why”. PFDJ had the total monopoly in silencing people, they were able to isolate discredit those few that did. Hafash wudubat or all Eritreans in diaspora did support the armed struggle morally and finiancially. The number who went and joined the armed struggle were, very, very few if any at all. May be less than 1%. The Eritrean opposition groups are telling you, we are not going to raise arms an kill our own brothers and sisters who are forced into PFDJ army and administration. So the dynamics is totally different and the correct approach I may add. Listen, leaving the excuse aside, no body holding you your hands if anyone tries to take down IAabd his regime. And no body is going to shed tears over it. And lastly, if this is not the means (I advice you to study and learn the type of struggle, as knowledge is the key) but by all means do your own ways and means to help the struggle. Your giddy reaction to the interview is a function of your state of mind and NOT as a consequence of hearing truth. Yemane T does more to hurt the cause than help it. Hi tSA-tSE; You are on, my man, keep it going. Reading your post reminded me a point that every time it baffles me. The Eritrean opposition, call them justice seekers or what ever they are; they differentiated what is Liability with what is worth or Significance to their cause. What the opposition didn’t know is that; if it wasn’t for those liabilities who think they are fighting the government; by now the Eritrean government have been long gone. Believe it or not, the Eritrean government is alive and kicking is due to the Liabilities. Personally when I observe people like Yemane Teklegheris, Assena and the rest of the Liabilities, I tend to side with government of Eritrea instead of to the side of the toothless oppositions. By supporting the regime that suffocate its subjects, it will make you a culprit by association. Do you know that? Even if you believe the opposition are toothless, do the right thing for the oppressed Eritrean people without siding either to the regime or to the opposition. Greetings Aman-H; Sometimes I lose you. Even I agreed that change should be made but I must have to ask what kind of change? To what are we changing?Who is doing the change? You can’t just accept and support for the sake of change, NO! As evil as TPLF is, I wonder what the Ethiopians will say or vote if they had the chance to do so weather TPLF to stay in power or change to what it is now. So, it is wrong just to say change, change and change but I should know from what to what I am changing. You don’t have a single opposition with clear national agenda and program but you are demanding they support for change. Again, I wonder what the Ethiopians think about this command-less change. Ethiopia is in great danger not because of the change but for the lack the objectives of the change. Becarfull what you wish for!!!! Can’t you focus on what kind of change you would like to see, and share your view with your readers rather complaining against the opposition day in day out? Make our people at center of your heart and your effort. Bring your unique idea as to how we can emancipate our people from the shackles of the tyrant – only if you are not a sympathizer of the regime. That is what you have to do. Complaining is not a solution until you become the alternative. Second, if you believe there is no “objective realities” for Change in Ethiopia, then the current leader is unfit to create the needed objective realities. Intentionally or not, he totally forget the domestic problem of the country. Touring the neighbor countries to preach about unrealistic project doesn’t give him a good image of a statesman nor does it bring a solution to the crises of his nation. He is not pragmatic to the need of the domestic crises. Please avoid unnecessary adjectives for those who differ their views from you. By doing that, it doesn’t make you to have a clear and sound mind. Sound mind without decency is not really sound. Can’t you simply make your argument whether it is valid argument or not. Just simply leave your idea for the buyers. It is most likely fake news for there is no reason for that to happen particularly in Bahrdar when the people are in good terms with the Eritrean people including with Isaias. Due to the rapidly changing political situation in the region, the news might be true. No wonder why you are so detached from reality in all your analysis about the political events in East Africa; you have this morbid urge to believe what ever news is circulating as long as it has a chance of negatively affecting the peace that is unfolding between the people of Eritrea and Ethiopia. A dog bites a man, this is not news. A man bites a dog, this is news. I was not reporting it. I was asking for verification after a friend fowarded it to me from a certain on-line media called The Finefinnee Post. Actually, I was not in any fantasy with such kind of news. And if it was a hoax, no one would be happier than me. Pm Abiy is on an official visit to Qatar. My analytical guess is that the relationship between Addis and Dubai and by extention with King Isayas must have hit a bumper. I am sure, the only thing that would tempt Abiy to switch sides this fast is money. Alex de Waal was right: Africa’s political markets! Slow down on your “Digital Hiwehat” thing(you told me “No more weyAne per the PFDJ new Propaganda Manual). Ethiopia needs $ and Investment and Qatar is investing more than $5 Billion in Ethiopia already…Dr AAA’s visit is just a Follow up to that of PMMZ. He might be trying to reconcile Issu with Qatar as well. The Gambela and Afar Rebels signed a Reconciliation Agreement with Ethiopia last week in Asmera. But try that your Digital Hiwehat as your last resort. Hi Hope; there nothing reconcile with, this trip is nothing but to ask for financial help. Ethiopia right now can do whatever to pay her creditors. Ethiopia is up to her teeth with debuts and high interest loans. I know Hayat the Adi-grat will tell the economy is growing by 11%. You guys are obsessed with Ethiopian. What is the interest of Eritrea in this Ethiopia this Ethiopia that. It has been more than 6 months since the peace agreement and we haven’t seen any developments on the main issues benefit Eritrea, for example demarcation and port usage, specially Massawa by Northern Ethiopian regions. IA priority is to destroy TPLF at any cost, even at expense of Eritrean sovereignty and you guys are following suit as usual. Tnx for saving me some minutes to respond to the overtly confused and self-contradicting Amanuel.He became part of the lost Opposition Camp. “Look what and how the Opposition is mumbling and complaining about demarcating the border when they were MUTE during the TPLF Era…and the PFDJ Trolls and cadres changing the gear towards postponing the demarcation as if they were NOT keeping /have not kept us hostages for 20 yrs due to lack of demarcation”. 2)Should be DESTROYED , the SOONER the better, either way. Both are possible if IA & Abiy set them as priorities. Delivering demarcation is not Tigray authorities commitment & responsibility. It is known to all they were unwilling to implement it for years when they were in power. The question is why did Abiy signed the agreement knowingly that he doesn’t have the power to deliver it? 1)”You guys are obsessed with Ethiopian. What is the interest of Eritrea in this Ethiopia this Ethiopia that”. The Ethio-Erittea politics are inseparable for obvious reasons. -I agree partially with you on this that,apart form feeling the peace over all compared to the 23 yrs of fear, wars, threats and dark clouds over Eritrea and Eritreans, which is a BIG deal, the PFDJ has lagged behind in making peace within Eritrea and its citizens in general and in the business, economic, political and judicial system sectors in particular, for reasons only known to the Capo. No reason or excuse to support the PFDJ regime on this issue. Why are you shying away from debating on the huge negative role by the Hanquelti Hiwehat? Are u an Ebay-Asmera Tigraway,who joined the EPLF-the pilot et al partner? “The TPLF has had a clear and an unequivocal stand about Eritrea’s Independence.” ;and you rather demonized the Amharas and the Oromos. Whether u believe it or not ,the most “Humiliating, the most demoralizing and the most damaging / “threatful” course in the Eritrean History is the negative role the same Hiwehat has played in the last 20 yrs by all standard. 3)”IA priority is to destroy TPLF at any cost, even at expense of Eritrean sovereignty and you guys are following suit as usual”. Again ,if the Hiwehat has been the major THREAT to the existence of Eritrea and Eritreans as a nation and as a people, why should not be the same Hiwehat be DESTROYED if it is still trying to be an obstacle to the peace and the Sovereignty and Territorial Integrity of Eritrea? At the expense of Eri Sovereignty? How and in what way? For making a legitimate alliance with the Dr. AAA’s Govt? Why cant the same obstructionist Hiwehat accept the peace process and join the train of development and Integration and comply with the EEBC Verdict and the Algiers Agreement, if at all you any info about it? The PFDJ might still be part of the “Conspiracy” to derail the demarcation…but based on the facts on the ground, it is your Hiwehat that is blocking everything you wanted to be achieved. “…..port usage, specially Massawa by Northern Ethiopian regions”. Delaying Massawa Port Service for/to Tigray and for Tigray..
And who is delaying this service? Thank you for the switch. Thanks for the ” advice”. But kind of curious to know as to why you are obsessed with talking about Hope et al talking about WEYANE or Hiwehat. Are you their Spokes-person here at awate.com? With all due respect,sir,why would you care or worry about if I mention Weyane or Hiwuhat a million times? Ayibka Wo Hasebotka,Billahi Farighena wo Samihanna wo afka tsibit minnA. Rebbi lisedeka wo samahaka Ewwun Wo Shakir min haleka. I wish you avoid trying to be more Catholic than the Pope. Oh! You don’t know up-to now. I am more more more Catholic than the Pope. (ኣዘ ካፍል ምኑ) and tomorrow we will meet in the funeral of Isaias, PFDJ god. 3- to the pfdj and it’s sattalites, awate.com is a weyane entity and I am a weyane spokesperson! See what I mean by boring ! Let me deal with your shameful accusation of “Are u an Ebay-Asmera Tigraway,who joined the EPLF-the pilot et al partner?” This is 20 years late. Let me share what happened to me in 1998, during the David & Goliath hype. A father to my neighbour died and we were gathering in his house as usual and the news of the day was the Badme war. Despite being in the minority I spoke against the war as it was reckless action. A very popular lady asked me “”Are you an Ebay-Asmera Tigraway,who joined the EPLF?” One of the ladies who sat next to her whispered where I am from and my accuser felt very sorry for her action when she learned that we are from the same village, and she calls me “wedi Hawey” since. It is mad to admit that you are happy to sacrifice Eritrean sovereignty as far as TPLF is destroyed. As per the rest Abiy is like a man agreed to sell his house but forgot to ask his wife first. As far as a disagreement in politics among ourselves is concerned, I have had unpleasant and even a ‘”deadly” arguments and debates with my own family members, an ideology issue that is. The deadly and shameful Civil war comes our mind due to the dirty Eritrean Political Culture. I ran into and stood in the middle of two ELF and EPLF Fighters when they loaded their AK-47s at each other for a simple nonsensical argument calling each other Amma and Wahiyo at the middle of the road between Halibmentel and Keren/Blokko Hashela area…. My statement above was a sarcastic expression due to your one-sided accusation of the PFDJ and ignoring the other deadly enemy of Eritrea,aka,HUWUHAT”. Granted, an APPOLOGY is on board if you took it seriously the way you did to the lady, who is a member of the “Majority Group” accusing you as a Tiraway, a Lowlander or a Kerenite,if U R ONE,which is a NONESSENTIAL issue to me in the 21st Century Eritrea. Speaking of the root causes including the chronology of the events and and history and of the so called Baduma War,and of utmost importance,about being a nonsensical war. I said more than ENOUGH about the technical mistakes, knee jerk reactions and failures of the PFDJ Leadership and few EDF Army Commanders of that Front. We challenged about the war and its genesis, the entire Team of the GoE Officials, who visited us in Washington, DC in 1998-1999,the Sherifos,the Derues,etc….to lecture us about this and that about the war. We insisted that we should accept the US-Rwanda Proposal including to pull back immediately to the Pre-May status…as Baduma was NOT under the Eri Adm since 1980s…for reasons known ONLY to the TPLF and EPLF Leaderships. A Freshman Univ Student specifically challenged Sherifo that we should play the game and stay ahead of the TPLF Janda’s provocations and deal with it per the International Laws and Norms….we applauded that Young boy and gave him a STANDING Ovation and he was EXCATLY CORRECT and to the point. “If we pull back, the Hiwehats will ask for more concessions Aseb included and that we should stay in Baduma and Zalambessa and then make our case while we are n a stronger position”. The Adi Murug incident was mentioned as an example NOT to trust the Hiwehats. This excuse was probably a “convincing” one at that time. Even prof Dr SAAY et al were convinced, understandably/legitimately. It is past history but a deadly mistake, which cost us dearly. We exhausted enough about the PFDJ Govt’s reckless, ERRATIC chaotic and hegemonic policies and diplomatic plunders. But we are complaining’s about, as Yemane GhebreAb did, that it was unfair and unreasonable revengeful blunder against Eritrea and Eritreans for the narrow minded and expansionist Janda to declare War on us officially rather than taking its time to resolve the minor border skirmish to the extent putting our Sovereignty and territorial Integrity in question, not to mention the over all devastating impact/outcomes of the war. You have to consider the Hiwehat’s dangerous Agenda that followed the war after 2000 after they miserably FAILED to reverse the Eri Independence, if not to capture Aseb,a fact you /any one cannot deny or refute under any circumstance. But if you are telling me like the lost souls of the Opposition Camp that it is all the fault and mistakes of PIA and his agenda to sell Eritrea, I will NEVER buy that nonsense. I said ENOUGH about PIA and the PFDJ and their weaknesses, mistakes and failures, CRIMES, etc….publically and to accuse me about supporting the same PFDJ Regime and its Leadership simply coz I supported them in defense of Eritrea is but a BOGUS claim and hypocrisy. Irrespective and despite of the PFDJ Govt’s and its Leadership’s real and perceived failures, weaknesses, crimes, erratic and chaotic policies and diplomatic failures/plunders,Eritrea is INTACT and has STOOD UP even way TALER and STRONGER as well as SAFER than EVER by DESTROYING its internal and external Enemies against al odds– under the same PFDJ!!!! Hence, my apparent flip-flopping stand on the PFDJ/the GoE. It is all about relativity in life and about ‘between LIFE and DEATH SITUATION/SCENARIO, not about perfection. ” Le tekematch Semay Kirb new” bele Amharay! But if the hiwehats and their Pseudo-Eritrean Opp camp were to take over Asmera as planned, we all know where Eritrea would be. Finally, remember that whatever the PFDJ Govt and Its Leadership might have messed up Eritrea and Eritreans, it is due to our COLECTIVE Failures. “As per the rest Abiy is like a man agreed to sell his house but forgot to ask his wife first”. Make sure you know that Dr. AAA will do any and everything that hAs per the rest Abiy is like a man agreed to sell his house but forgot to ask his wife firste believes is for the best Interest of Ethiopia and Ethiopians. Isayas, Abiy would not care or choose between any Arab countries / leaders and being loyal or principle. I said all this UAE/ SA shuttle is to get money and I will not be surprised if they switch to Qatar to get more money. And the Arab country leaders are no different to abandon them when they get better markers. It’s just the nature of business when run by unelected dictators, who are accountable to no one. My analytical guess is that the relationship between Addis and Dubai and by extention with King Isayas must have hit a bumper. Hi hayat; my analytical my foot. what disgraced individual. why your dumbazz doesn’t know is, PMAA knows your criminal TPLF is trying hard to warm up with Qatar and PMZZ is there to cut you off once of all. Once dedebit always dedebit, never learn. “He,Dr. AAA, might be trying to reconcile Issu with Qatar as well”. Hayat thinks she is more ‘Insider” than Hope is while sitting behind her computer in Amsterdam or somewhere in the West. Sorry but I am not ready to be advised by 8th grade. Tell me this: Why would PMaaa try to fix Eri and Qatar? Is IA making him his messenger boy? 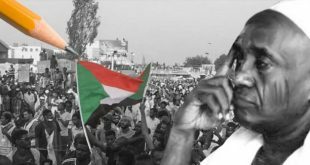 Is PMaaa acting as protectorate of Eritrea? Or what interest could Ethiopia have to reconcile both? Or is IA considering to auto-switch allegiance from UAE to Qatar? This was my reaction to Awash Lemma’s comment that turned out to be a spam. Here is my comment that refused to go through because the comment was removed. I second Ismail, and thank you for your well articulated argumentation. From Eritrea point of view, I would say Eritreans have a lot to gain from dropping, as much as possible, the Amhara this and Amhara that mantra equally as people are reminding us to drop the Weyane-TPLF mantra. It is better we talk to each other than accusing each other through third party. The principal reproach I would have voiced to PMAA is for not approaching PIA to orient his diplomacy internally for reconciliation and persuade him to discuss with all the groups that the regime excluded. Hopefully with the ongoing recalibrations, he will also consider doing that. It is painful to see our regime multiplying foreign diplomacy up to even going to Hargeisa without prioritizing internal diplomacy and in complete absence of the slightest visible hint towards that. Capitulation to the regime’s wish and accepting it as the only choice to lead the country is the worst Eritreans can admit to. That is precisely what Ethiopian vanquished last year. I have been following Eritrean politics since I was 18 years old and that is close to 30 years. And I have never seen the Eritrean people coming together and united in one voice as we see them today. Perhaps, in a rather strange and a reason only known to God, Abiy’s coming to power may signal ambiguity to Ethiopia but it is a blessing to Eritrea for it heralds the demise of the regime in Eritrea and its evil tentacles. You are right and I also feel the same way. Yesterday I was going through the pages of “ይኣክል” group and listening to some of the videos and it’s really exiting, specially the women. Today I heard the interview of Amanuel Dawa and WaHazit Abreham on SBS radio and I really am impressed by their message and their dedication. When people come face to face with no fear to their oppressors there is no turning back. I think the coming of Abiy and opening up the regime in Asmara has opened a great opportunity for people to stand up together and to say enough. Selam Haile S. Is it practical for PMAA to meddle in the internal affairs of Eritrea before Ethiopia has fully implemented its responsibility in regards to the peace agreement? Meddle is a strong word. Approach someone to convince him voluntarily to do something is another. First of all, they are not mutually exclusive. PMAA can do both. In fact the reconciliation should be prioritized for the peace agreement to be solidified by making it the result of national reconciliated Eritrean agreement. Hi Haile S. So, you really believe that there is a chance for a national reconciliated Eritrean agreement while Pres Isaias is around? What counts is the attempt. Who would have imagined PMAA brings back all the Ethiopian opposition and all those that were banished to their country in months. I may comment on Hayek and Keynes hopefully on this coming weekend or before. Thank you. Many thanks for the input. And hope I live up to your expectations and also hope I don’t butcher the beautiful language of ours as I try to put Hayek and Keynes with in Tigrinya vernacular. I think ግብሪ is synonyms with ቀረጽ so not sure if it can mean “interest rate”. I think literal transilation may work in this case. so I would say “ወለዳዊ መጠን”. Reference: Concise English-Tigrina Dictionary by “Tuquabo Asres”, Asmara, 1987. BTW, he has welfare = ድሕነት ፡ ጥዕና. I think ድሕነት sounds good translation to me. Note: there is no translation for “interest rate” in the book. You really are Hangol derho:). What you suggested could mean, “rate of interest”. Even if I suggested is wrong, it’s not a problem, it was just a suggestion. Hi Berhe; I don’t know. your post gave the chance to take a shoot at you to say Hangol Derho and I took. No taking shoots at Behre are rejected. Again “rate of interest” In English we say interest rate but back in Tigrigna and Amharic; it is the reverse; not all English translations are straight. U seem to be correct as backed up with your ref,but we should translate words from their contextual meaning, not word-to-word. Social and Economic Welfare: Mahberawin Kutebawin RediEt or Wihsinet? Something we have to consider: words could have multiple meaning depending on their usages. We should be familiar about it similar to other languages we are familiar with. Words can be synonyms only to differ in their applications. ጌጋ ይኽልአለይ እምበር I think you seem to contradict your self. Let me start with your sentence “Something we have to consider: words could have multiple meaning depending on their usages. We should be familiar about it, similar to other languages we are familiar with (eg. in English).”. When you try to give definition for the word መጠን, you do not seem to use the different meaning the word can be used. Like you said in English “Interest” means a lot of things depending on the context it’s used. Using the context we are describing here, as in money / economics, መጠን = rate seems to me is the right way to use the word. already and well established meaning which is tax. I use to work for a small business with my father and ግብሪ is a common word that is referred to paying in taxes. To be honest, using simply ወለድ for interest rate I think serves the purpose. It’s very common practice in the average discussion, what’s the interest rate ክንደይ እዩ እቲ ወለድ? And even in English, it’s common to ask, what is the interest on a car loan or a mortgage and it’s understood to mean what’s the interest rate. But if you say to someone 6 ካብ ሚኢት እየ ግብሪ ዝኸፍል , I don’t know if the person understands it to mean, interest rate but actually tax that you pay. “Interest” is not the same as “interest rate”. Absolutely not. Second, I am not saying tax is not “ግብሪ”. What I am saying is “ግብሪ” also could have other meaning in tigrigna as it is in English. So I am not contradicting. Can’t wait to attent the lesson on Hayek and Keynes. Can see the ordeal you might be enduring looking for terms . Until the experts have their say, let me try and relate # 1 to traditional lending and # 2 to an Arabic estimate. Thus, ሓረጻ and ብሔራዊ ሓገዝ, respectively. Haile, Aman H and Kokhob will laugh to their hearts gratification. In general appropriate words can be found by consulting geez, old tigrigna books and the tigrigna bible that was translated by tigrigna knowlegeable people. I thought your take on what we have in Eritrea is a regime and a system, not a one man show. When I say PIA should be persuaded for reconciliation, I meant the system under him, not necessarily PIA. Reconciliation is between the different segments of the Eritrean society, between those that accuse highlanders for being the principal culprits and those supposed to be their victims, between the Jebhas and the Shaebias, between those who now claim their movement was completely rotten and they knew it and those that claim there was no other way of doing it. A “one man show regime” has also a “system” that serve its interest as far as there enablers who serve his institutions and benefit from it. Hailat, I hope you are not trying to pull Saay and me to our old arguments. I hope you are not taking what I said as if I am imploring IA to come to the table. What I said was “the right thing to do on PMAA’s part was to persuade IA…” because the discussion was on what PMAA could have done. Okay, let me turn it to a question. What do you want the PM to persuade him? Isn’t it to make changes in the way he is treating his subjects and bring rule of law to the nation and its people? What else Hailat? If that is the case, the despot can’t go against his interest to heed his advice. Did I miss anything Hailat? There seems to be recalcitrant misunderstanding by our Ethiopian neighbors of the argument mainstream Eritreans have been making about Abij’s handling of Eritrean people’s aspiration for an end to a ruthless dictatorship in their country. What we, Eritreans, are saying is that pragmatic mission of diplomacy of nations target long term and lasting interest rather than short term transient objectives. Understood in such a framework, thus, difference can be imagined between what a ruling regime could provide in the duration of its tenure and what and a people of a neighboring country can keep on providing over longer span of time. Briefly stated, the Eritrean people are not asking the current Ethiopian government to act as middleman between them and the despot for some concessions. It is rather an humble advice to it that people-to-people diplomacy is much better served if guided by pragmatic diplomacy geared to building an all-season framework rather than a one-season grass and straw house that can be disappear to forces of nature be it water or wind. Nation-to-nation relations would be durable and productive if done through diplomacy that sees beyond unpopular regime. My sincere thanks for your positive take on the comments I posted. (Pls see also my reply to Ismail’s comments). The points you raised above are fundamental and admirable. 1) “….dropping, as much as possible, the Amhara this and Amhara that mantra equally as people are reminding us to drop the Weyane-TPLF mantra….”. How true. Actually, this noble advice of yours should not be limited to Eritreans but should be extended to Ethiopians. It is so ironic, we boast to be among the early civilisations in the world (peoples of both north and south of the boarder), but alas, we are found boggled down by name calling and disparaging each other. How sad. 2) I also share your regrets – that PMAA not influencing PIA working towards reconciliation and looking more to internal (Eritrean) problems. To be fair, we don’t know whether PMAA tried and failed, or he just thought it is the internal affair of Eritrea and didn’t dare to raise it. Though I should admit I’m a novice when it comes to Eritrean internal politics the logic of your argument is clear for any one to understand. Actually, this can be said about PMAA as well. He is now in Qatar as we speak while there appear to be more pressing problems at home. What are Foreign Ministers created for?!? Good as far it goes; most of what you say is repetition of what has been written by people / web sites of similar political dispositions, only updated some what. So, no surprises, really. But I’m afraid some key omissions and commissions lead to confusion. Omissions – The role of TPLF in the current ethnic conflicts. While you are right to point out that ethnic conflicts are now a daily affair you failed to mention, even in passing, that this is the outcome of 3 decades of TPLF policy that imposed ethnic politics on the country. This broke down the social relations and fabrics of the society. Any talk of ethnic problems without mentioning the toxic TPLF policies as the origin is incomplete and dishonest. TPLF will go into the annals of history books to have been the only government in power that tirelessly worked for the division and dismemberment of the country it governs. Other governments, even the worst types, try their best to bring about unity and peace to their people. Commissions – 1) ‘… the three-leg stool is broken…’. I disagree. First, to depict PIA as the occupant of the stool is ridiculous. The stool, so to speak, is an Ethiopian phenomenon. PIA has no role in its creation. True, the stool has wobbled somewhat. Through this wobbling the third leg came to be a bit loose and there seems to be some loss of balance. So, a repair work has taken place and now the stool is back firmly on its 3 legs once again. It is too early to judge the new guy, Dr Ambachew, but on the whole, I think he has started well. By the way, the Team that is leading the change is a spontaneous, informal power base. By its nature it is not expected to last long, it has to give way to a more formal, structured, and transparent political entity. Do not forget that the Team is dealing with decades of mismanagement, and intricate political, economic and social problems and its path is not going to be straight and smooth. There will be a lot of achievements but also many failures and drawbacks. I’m afraid it is gona be ‘.. two steps forward, one step back’. Of course, you remember who said that. 2) Secondly you tell us Jawar is Qerro leader. Who said so? He is neither elected nor appointed. He is a self appointed, self promoting ‘activist’. He has no principles except ethnicity. He tells you one thing in the morning and says the opposite in the evening. He rides the emotions of the angry, wild fox; the impatient, unemployed rural youth. Through his media he agitates to kill, destroy, maim, and plunder. In short he is an anarchist, a new type of anarchist, an ethno-anarchist. 3) You also tell us PIA’s ambition is to destroy the TPLF. I’d argue that the evidence does not support your claim. What about this argument for which, I believe, the evidence is so glaring – ….. Impressed by the promising changes taking place south of the border he extended his support and friendship to the new leadership. He was warmly received by the Ethiopian leadership, i.e. Team Lemma. As you know, by then the TPLF has barricaded itself in Mekele, wrapped in its ethnic cocoon, and was busy opposing, distorting, disrupting whatever Abiy and his team said and did. PIA, as leader of a friendly neighbouring country, followed what protocol dictated, that is, talked to, visited places, etc. as arranged by his hosts. How can a friendly president deal with a breakaway provincial power, even if he wanted to? If TPLF is isolated, angry beyond belief, it is its own making. PIA did nothing directly to destroy or support the TPLF click. So, tell us exactly what PIA did to distroy the TPLF. A lot of people say that PIA is angry with TPLF because of what it did to the country it was intrusted to govern fairly, and also to Eritrea during the last 3 decades. Frankly, if that is his position who would blame him? Except TPLFites, of course. 4) Though you try to be objective your support of the TPLF is not that subtle. You tell us the Amara are expansionists / the land-grabbers. Really? I believe you have studied geography at school. So, in which province were Welkait, Tsegede, Humara, Raya, etc.? Of course, Begemder, Wello, etc. and now you find them in Tigrai. Who is the expansionist /land-grabber, then? 5) In your haste to multiply the ethnic problems of the country you add the Somali region. Now the ethnic conflict involving the Somali region has abated. The region is being led by one of the most gifted young politicians the country has ever seen, Ato Mustafa – articulate, intelligent, internationalist oriented; he loves his Somali people and so does he the other peoples of the country. Let his types multiply in our region. A potential future prime minister of the country, no doubt. It seems to me that your view of the Somali region is outdated. I like your recommendations, though. I raise my hand in support. Well done. Cool mindedness and maturity exhibited , which are marks of an informed debater. I believe the editors will be delighted to read your comments, and consider them as points of view from your perspective and understanding of issues raised. Thanks for joining the debate; enjoyed reading your take, and wish you frequent the pages of this forum. Thank you for your generous and encouraging comments on my brief post. I appreciate it. I was surprised, however, to find that my commentary has disappeared soon after posting. I hope the editors / moderator will explain what happened. I believe in honest dialogue, i.e., debating points of view and learning from each other and generate ideas that may come out to be useful to our countries and the region at large, albeit in a very small way. I’ll heed to your advice and would try to frequent and also contribute to the forum to the extent I can. Perhaps you may know; I’d expressed my sincere appreciation of the forum and its founders / moderators in my previous posts. Appreciation sincerely reciprocated. Disqus does sometimes strange things. It designates posts to pending moderation status and hides it away. The moderator releases it back to the comments pages. This happens often to many of us. Thanks for the info.,. OK, let’s wait and see what happens. The economic boom that Ethiopia enjoyed over the last two decades has lost much of its appeal and energy”. Exbit C , D …. on and on can be stated . You guys need to really consider yourself if you are not blinded by the American style of blinding the public with utter nonsense weyane propaganda lies . I understand you are not going to be invited but why all this nonsense? 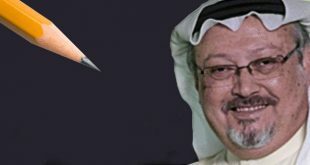 “Weyane crimes never seem to pop up in to the eyes of “Justice seeking news organization “ , why ?”. It is understood with your whys??? you dream to DIVIDE, DIVERT and at the end of the day to DEGRADE the people of Eritrea. All your ploys have become from the past for the people of Eritrea at present. In my previous comments, I inform you to prepare for changing gear, but you seem to be the last trench that will be defeated with the regime that you think it is very strong. The regime was strong due to DIVISIVE propaganda experienced upon them by the regime, but now the people of Eritrea opened their eyes and minds, and are in unison more than anytime before. UNITY OF ERITREANS WILL FORCE THE REGIME TO EVAPORATE WITHOUT ANY HEAT. It is not a coincidence that your brat has a root some where beholden to something fishy , ok chill out and recommend me a medicine that will show me your face ( the web face not the actual one ) . What’s that you want me to reconsider ? Tell me because up until now I am not having it at all , the dictator will only go when the Eritreans collect themselves and work for the common good not for few demographic reasons, you and people like you simply don’t know how to use your remaining chips , you are simply blinded by sheer urge of ho ho , I am simply not buying your buzz and I simply don’t consider you as an opponent to Issias , You and some minions in this forum forget the onslaught you pushed and now you flip flopping to claim unity of Eritreans , get off this night horse dream because he can’t jump the fence at all. The dictator will go when the engine of the true Eritreans who see Eritrea away from small Ethinic talk and in that club people like you are just spectators. Still you fight strongly to DIVIDE, DIVERT and DEGRADE Eritreans though the Eritrean political spectrum has changed 180 degrees. You are still mumbling with your scrap commodity. My friend, you have to conceive there is no shopper for you tattered commodity. You are simply a leech that the people of Eritrea are saying openly ENOUGH IS ENOUGH. Don’t you ever learn how to debate with respect and civility? If that doesn’t satisfy you, write a rebuttal (like you just did), or an editorial of your own, but without crossing the line and insulting others. If your focus and that of your side of the feud with Weyane, don’t expect others to follow you like the rats following the Pied Piper. Try to cure yourself from the rudeness bug for a change, try to be civil. I want to thank the Awate Team for bringing the current Ethiopian situation which seems undergoing chaotic crises and profound alignment-realignment of forces up into a conversation. I am not sure if this is the best product of the subject the Team can only offer. Nonetheless, it will at least keep us discoursing on the matter. The law of political physics tells us that the country can’t continue the way it is now. So, change or series of changes are inevitably coming to surface very soon. That much must be clear. The question is: what kind of change or changes? If I want to be purely logical, the likeliest scenario would be that our Dr. Newtol consolidates control and turns the corner to become effectively a dictator. But I also know that is nearly a zero possibility. You know dictatorship requires some kind of qualities of stamen, endurance and stubbornness, don’t you? Not much! 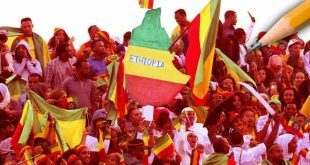 Will Ethiopia then disintegrate? Not a chance. I think, the country must have been through worse historic and existential challenges over the millennia it existed as a country and she has survived them all. I think the likeliest scenario is that we will see some kind of shocks and shakes and time and space will provide a brave leader to walk Ethiopia through safely and carefully to the shores. Eritrea’s affairs so simple. We may have 1 million households at best. If I were a leader, I would have reached and knocked at each household and take down notes of their wish and come back with fine and working plan. What complicates Eritrea’s affairs is when you have a leadership that has no grand political purpose of its own and that always looks outward instead of inward. PFDJ tries to squeeze loyalty from the weak, and tries to sell loyalty to the wealthy. The Ethiopian politics is very different, complex and intriguing. I was encouraged to listen to Professor Guidina’s interesting reflection the other day. He was speaking about a painful experience at AAU which was at the time planning to organize a a high-level event to celebrate its anniversary. One component was selecting high profile authorities and prominent scholars who would make a keynote to elevate the event. First to be mentioned was Professor Indrias. Not enough number of people supported him. Then, someone nominated Professor Mesfin. He was automatically dropped for being divisive and exclusive. Dr. Tewoldebirhan Gebregziabher (botanist) was brought up. He was dropped as well, for belonging to a natural science. Merara sarcastically said, “that was a political language” to excuse him from the candidacy- implying that the real reason had nothing to do with his profession and he was left only because he was from Tigray. Eventually, the selection process was rested after picking 3 greatly celebrated and prominent scholars: Prof Bahru, Dr. Desalegn Rahmeto and Dr. Azeb. Dr. Merera’s interesting observation: the three of them who made it are all from the Guraghe nationality. Dr. Merara’s interesting conclusion: Unless a threshold consensus is built among three: the Amara, the Oromo and Tigray, they will always be negating each other, and in the process compromising Ethiopia’s aspired future and national interests. They will be holding each other at the bottom of the ladder. The next Ethiopian hero should be someone who can formulate a template to get these three to agree to workable consensus. “PFDJ tries to squeeze loyalty from the weak, and tries to sell loyalty to the wealthy.” This is a good one, and it is very true. Second, the approach of Dr Merara on how to tackle to the conflict of powers between the “trio social groups” is very interesting. One hopes to work out. I don’t want to make the Ethiopian political issue so simplistic. But I think, the Amara, Tigray and Oromo people and their leaders are probably some of the most privileged people on the face of the earth. In other words, they really do not know what it means to be ruled and brutalized by others to the point of fighting for your own survival. I say this because I think the whole point of being non-colonized by any one is probably the reason why they can’t seem to appreciate what it means to be to live free. They don’t know that, since they have never experienced and that’s why they are in their small tribal region fighting each other. I am thinking if it’s becoming a liability than an asset to never understand what it means to compromise and live in peace. How else one can explain that it means “አዲስ አበባ የማን ናት?” How in the world one can solve this type of question in this day and age? And who cares who the city belongs to? It’s madness, honestly. Eritrean on the other hands have lived this for centuries and that’s the reason I think there is no such exaggerated division among the people. Good point. You have added one more problem to their complication. BTW, it is interesting you brought the experience of being a colony. Minilik signed agreement of Wuchale with the Italians without knowing that he was agreeing to become a protectorate state under Italy. Then when tried to exercise his deplomatic relatuons like a free leader, the Italians invoke the agreement and reminded him of his obligation to go through them. Minilik said, “what?!”. The famous battle and victory of Adwa was born out of that ignorance to colonialism. In terms of privilege – we the Amharic speakers, native or adopted to the Amharic culture, have the privilege. No doubt. Tigray, Oromo and other nationalities had to die to start education with their language. All the infighting you see is to assert the Nations (Oromo, Amhara, Tigray etc..) position politically; to potentially fix their economic position. Oromo was on the losing end. Its fair that they struggled and now trying to assert their position. I see this process the potential to define the Democrats and Republican or Labour and Conservative of Ethiopia. That means, a multiple power base strong enough to negotiate to each other. No zero sum games. The Amhara elite is resisting to let go the entitlement to the whole country and to be contained in their region. Every day they are waking up to that realisation and now started in-fighting to take the upper hand in their region. Everyone knows the issue of the Capital will surface one day – its good the discussion starts. wars we went through during Haileselassie, Dergue terrors and the oppressive regime of EPRDF. Like I said, I don’t want to sound making the complex political issue as simple problem. When I said “privileged or entitled”, I meant to say compared to other people in other parts of the world, like Africa, India, Europe etc. Compared to Colonialism, world wars, genocide, racism, slavery, civil war etc. Ethiopia’s problems of the past really pales I think in comparison. And the problems Ethiopians went through, during Haile Slassie, the Derg or EPRDF, I think it’s all self made where there is absolutely no need for it except it’s self made destruction that had no reason for it. Now I see that, the same thing is being repeated and it doesn’t seem certain whee it will end up. You are right the “Amharic” speaking may have advantage over others due to the access of resources, specially education. I agree and I understand that people’s rights, like citizen rights as the editorial has described needs to be respected, like all other nations who have done well in their respective countries. What I am not getting is, the obsession and the unnecessary complexities that’s being created from different ethnic group to use their ethnicity to trump over others rights and rule over and come to power. When I said about the reference in colonialism, I have the sense that who ever comes to power next (for example Oromo), will continue through the same path of “it’s my turn” instead of building a country that’s equal and free to all it’s citizens. And I think this is primary to the lack of institution and structures that exist every where, like associated with colonialism in Africa or India, or WW in Europe that the world have come of age. For example, there should NOT be any reason to compromise or to question people’s right to reside and prosper anywhere, as on as they are not taking away people’s land or means to make their livelihood. This whole point of displacing people, ownership of Addis Abeba seems to me a really unnecessary and a complexities that does not have a simple workable solution except civil war. A very concise but relatively a good summary of basic events about both nations and peoples but quite a bit “BIASED” ,in my opinion. Love your Recommendations, even though short and incomplete”. Hope’ Opinion, NOT a rebuttal or allegation. -The Editorial failed to call the spade, a SPADE when it comes to the role of the TPLF, the ROOT CAUSE of all the Horn problems in general and tat of Eritrea and Ethiopia. “If it is not for noble ideals, keep your hands far, off Eritrean issues, particularly the TPLF”. With all due respect, you can’t possibly expect AT to write the stuff you would like to see and that is precisely the difference between a critical assessment and a propoganda junkie where AT to its credit belongs to the former. ንሓንሳብ እኮ ተደጋጋሚ ምስ ዝኸውን ሸለል ኢልካ ምሕላፍውን አሎ እኮ’ዩ:: አይመስለካን? The recent falling-out with in the Team-Lemma with respect to the yet to come [if ever] reform is a referendum on the indispensability of the Weyanes where they are still a power to reckon with. The critical question we need to ask is—why is that Tigrai is the only Kilil holding itself together and attracting more investments relative to the other Kilils which are bogged down in intra-ethnic strife, rampant corruption and vigilantes acting like warlords? I say, the Weyanes must be doing something right and Abiy can only benefit if he invites the Weyanes to work for a greater end instead of sidelining them and cuddling with certified losers as in Isaias and Gumbet 7 alike. Sources say that the Sidama youth entered to the Southern nations and nationalities meeting and have removed the nation’s flag and attack to members of the party. The idle youth ordered to shut the government and paralyzed the activities in Awassa for three days. The Federal and the state government haven’t respond yet. Abiy’s Government is no where. The “state of the union” is not healthy in Ethiopia. The PM by alienating TPLF from the central government could not hold the center of gravity of their political dynamics. Instead of saying Derg wasn’t defeated to dismiss their success (for creating alliance against them), he should recognize their contribution and demand their expertise to unite the country. There is no solution without making TPLF part of the equation to maintain the equilibrium of the shareholders. You said: “…Tigrai is the only Kilil holding itself together and attracting more investments…”. Paulos qualified it as ‘relative to the other Kilils”. Actually, I consider his statement as true. Tigray the most forsaken Kilil before Abiy’s coming to power interms of development and investments. Tigray used to have a repressive government, much likely similar to the one we have in Eritrea. All Tigreans that have the money and skills were fleeing Tigray to the other parts of Ethiopia. Even the destination of remittances from the diaspora Tigreans were not the banks in Tigray. The other factor was the stand off with Eritrea. Now, the governance is becoming more relaxed. Peace with Eritrea is yeilding dividends for Tigray. The hostile mood against Tigreans in other parts of Ethiopia pushing them back. That is why, very recently, the Mayor of Addis met Tigrean investors and encouraged them not move their businesses out of Addis. Even international companies are eying Tigray as an investment attraction. I have heard a Turkish company planned to build a 3 billion (B) Euro Industrial Park in Tigray. That things are changing in Tigray to the better is good news by itself. But, the statement: ” …the governance is becoming more relaxed….” is at best controversial. To think that such a repressive leftist movement (tplf) had elevated itself to an all inclusive political platform is hard to digest. For the other points you mentioned I will need more time. I am on the go for now. The AT cannot have it both ways. There is NO partial truth. A critical asst should be a real CRITICAL one,NOT a selective one,Hope thinks so. Indeed,WEYANE has been the metastatic cancer of the Horn. U see Uncle SGJ,you will EVER EVER feel the pain some of the Weyenti Vicitms are going through,hence,I do NOT blame you as you seem to have not TASTED the pain the weyenti victims are going thru. Are you updating your info these days? Your friends at the PFDJ office are not telling you enough? Too bad, you seem to be behind a bit. Fortunately, I can help you with that. Bring ears closer so that I can whisper. You don’t say w e y a n e any more. The operative and reference word now is TPLF or HiWeHaT! You don’t hear the word Weyane from any of the usual outlets or mouths. Why? IA, and his partners in Addis decided not to use it any more. All their associate propogandasits and media outlets including the Esat people followed suits immediately. Why? The 1st strategy in IA’s “Politicawi Hitsibo” document was: in order to speed up the death of the Tplf, we need to effect an effect8ve defferentiation between the Front and the people. The people have emotional attachment to the word Weyane because it is an organic and historical movement of the people. Tigreans will remain emotionally connected to Weyane. Insulting Weyane is insulting the people. Tplf used to like it when the Derg ignorantly called it Weyane intending to belittle them. Many Ethiopians followed suits. Now, IA figured it out as one strategic mistake and shared it with all its associates but forgot to include you to the loop. Your highness have missed very important point. Hope is not from the privileged class. Even if he danced Hindi or jumped to kiss the sky or do all acrobats in the world, he will remain servant of the privileged PFDJs. He is the last one to get information from them; he is not this much important person. His friends, PFDJs, are in a changing of gear position at the crossroad clueless to the level of their boss which direction to go. Love debating with sense of history and its impact on peoples concerned. You are correct in recalling the 1942 market day slaughter in Mekele by British war planes that took off from their base in Aden, South Yemen, on behalf of their client of the time, Emperor Haile Sellassie I. That tragic episode was since that day indelibly inscribed in the psyche of the people of Tigrai. The term “woyane” was transformed to sense of collective memory and reference of resistance in times of challenges and adversities. Good you have mentioned it because some in this forum could learn a fact or two and stop galloping forward like blinded horse in a bid to play silly propaganda mouthpieces for the regime and its self-serving battles in the region. Here is the importance of a “historian” like yourself to be around to remind us as to how history becomes a collective memory of a society, and thus certainly “wayane” is a symbol of resistance of the people of Tigray. The quoted statement below from your comment will affirmatively reminded us that the name wayane imply to the “political organization” as well as to the “people of Tigray” at large. Those who try to separate “Wayne” and the “people of Tigray” should take a note from our historian. I abandoned the PFDJ in 2001…after Sept 9 and am disconnected from their usually treacherous and manipulative and old-styled tactics….I can tell you that I know in depth their confused thought process and how they work. It is very cheap but lethal modus operandi. Most importantly, they really do NOT know what the head thinks and will do on an hourly basis. Their 50 yrs old experience in brutal organizational security network/apparatus coupled with “Fear and Mistrust” among its own members, leaders and its own citizens. You know how the Drug Curtail/Dealer function? -Very secretive network but if a member is suspected of out their way somehow, they will immediately EXECUTE him/her. This happened to my own adorable Niece in New England area, where she was brutally executed when she decided to “disjoin” them and move to another State. Whether the heir name is We-Ane or Hiwehat,I care less but they are EVIL and they should be WIPED out along with their evil mentality and agenda. Then and ONLY then the PFDJ along with its system shall be wiped out…Literally both are EXCLUSIVE to each other. The PFDJ ‘s new propaganda Manual is a belated response to “The Digital Weyane”. What Min Brhane Abrehe said might NOT be a diplomatic language but it is a historical fact and a reality that the Tigreyans have NEVER BEEN “Nice” to Eritreans in al aspects and fronts, without going into details. “In order peace to reign in the Horn in general and between Ethiopia and Eritrea in particular,one of those belligerent Leaderships/Regimes should GO for good….and hope we are close to that.. I don’t think you have left them at all. Whether they count you as one of theirs or not, you are serving them well, like a foot soldier or a slave would do. That might be true for Hayat et al as TPLF Slaves and Cadres. My over all back ground would NOT allow me to be a slave or a troll of any power…let alone the PFDJ. -Standing firm in defense of Eritrea while under the PFDJ regime and even supporting the same regime when needed legitimately does NOT make me to be their/its slave or foot soldier. -Having my own Firm Principles/Positions and not following what others want me to say or do wont make me their salve or foot soldier. That is the bitter truth you et al should be able to swallow. The only thing demanded of you is is not to change. You may not be 5hat much useful for the otherside. Just don’t act free and independent of the PFDJ while serving them loyally and speaking for them. That might be true for Hayat et al as TPLF TROLLS and Cadres. With all due respect, please, try NOT to make it gross and obvious to apply an Affirmative Action,as Mahmuday would say it,and discriminate Eritreans in favor of some Pseudo-Eritreans. You ignored the same Hayat insulting and calling Hope a PFDJ Slave ,a Hypocrite and a TRAITOR of Eritrea, Eritreans and who belittled and mocked about their legit political and armed struggle and their 60 yrs old endless sufferings.. He claimed that he is not a PFDJ guy. Let me give him a benefit of doubt and say, then what is he? He should be either as we say in Arabic, “المغفل النافع” that means, “Useful Simpleton” or he should be from the disposable marginal dirty-tasks guy. Wow, here you portrayed yourself glaringly that you are stout defender of the regime in Eritrea. AT assessment to the political condition of Ethiopia resembles the dissection of a professional surgeon. AT warns TPLF not due to her alleged border demarcation, but due to her long negative history in Eritrea though the people of Eritrea was the first people to stand on their side to ascend to the extent of ruling Ethiopia. Meles Zenawi was expecting from Isias to tell him that I have given you all my authority to guide us, but Isaias refused and I think this is the reason that made MZ say that Isaias stabbed me on my back. This shows that they have a hidden agreement according to which Isaias to handover Eritrea to Ethiopia. Isaias refused to handover Eritrea to Ethiopia without compliance of MZ to him. This is the main reason of the difference between both men, but some goons attempt to expose it as if Isaias didn’t have a hidden agenda with MZ, the TPLF. This pencil edition is a good review of Ethiopia’s current political affairs. It actually makes a third part assessment analysis with what I read in Rene Lefort and Kjetil Tronvall excellent article published on 27 February in Ethiomedia in association of Opendemocracy and Messay Kebede’s short article, published also in Ethiomedia – each from own perspective the former with focus on the projected election in 2020 and the latter with hindsight on the claim and counter claim of the Addis Ababa. The three-leg stool symbolic power relations assessment that was used in the context of the dictatorship in Eritrea has stayed well and alive to be deployed to the Ethiopian political arena which, in my opinion, has perfectly fitted to the situation in Ethiopia. Time has once more revealed the worth Abij’s meteoric rise to power under the mentorship of Lemma Megerssa driven Jowar Mohammed’s Qeeroo youth movement. Lemma with Abij’s addition-subtraction politics hoped to forget an anchor for Oromo- Amhara alliance by designing a kind of “mulatto” ideology by merging Oromo aspirations with the Amhara (plus fringe element Tigrai) intellectual elites so called Ethiopianism. But, in my view, Lemma did not pay sufficient attention to, and assess well, where Abij’s attempt to swim in many direction in a stormy waters will land him. As the editorial has pertinently alluded to his swimming toward the Red Sea without realizing the blood-thirsty shark right on its shores has played escalating element in revealing Abij’s foresight and leadership quality. Thus, the collapse of one of the three-leg of the stool seems to have brought Ethiopian politics back to the drawing table when Haile Mariam Dessalgn resigned or forced to. The Oromo under Lemma will have to sort out internal affairs, with Jowar returning to media mobilization of his favorite Qeeroo on the one hand, and the OLF commencing to play politics instead of the gun, in addition to other new forces within the same constituency competing for places. Their option is open towards other nationalities to the south as well to the east of them like the Afar, Somalis, Sidama etc. The Tigrian card in such a scenario is still on the table, especially if the damaged old Habesha-centered sentiment that always tied the Amharas and the Tigrians is going to prove difficult to rectify due to Amhara territorial expansionist aspirations. If the traditional Amhara-Tigrian alliances against all others platform would be restored, then they will have to return to the search of what they had lost in 1974 – leadership embodied in kingship, and one can imagine what the issue of succession would unleash. The most difficult project for the Amhara’s especially how to settle on unifying leadership that could fill the gab Emperor Haile Sellassie left. They could not even agree on a kind of a leader without a throne on his head. Given, the experience of the armed struggle coupled with the 27 years they stayed in power and the odds they have been facing after the exit, the Tigrians would stay as they are doing now- watching how things will develop south of the Tekkeze River and north of the Mereb. They may not be in hurry now because the outcome of the ongoing developments would provide them with options which could grade, along with others such as Afar and Somalis, to a kind of trump card in the power calculations Oromo-Amhara relations would generate. With the run up to the much talked about election in 2020, things may unfold which direction Ethiopia would move. As a last word, I found the analysis of Rene Lefort and his Norwegian co-author, K. Tronvall, very enlightening. I think reading this edition of Pencil with it could give reasonable perspective of the developing situation in Ethiopia. Abiy is not a leader. He is rather the messenger of Lemma. The steering wheel of the state machine of Ethiopia is in the hand of Lemma. What Lemma understoodw about Abiy is, that he is a good communicator so he could utilize him for maneuvering and maintaining the power with the Oromo social group. Time has shown the nature of political gamble Lemma Megerssa played in strings puller game behind Dr. Abij. Many factors could been in operation in this operation. Socio-ethnic reasons such faith and blood relations might not been ruled out. It could be recalled how some among the Amahara intellectuals dwelled on the mixed social origin Dr. Abij – Muslim Oromo-Amhara family background for instance. Alliance with the Amhara, on their terms in many cases, had drawn away Lemma’s attention from his power base constituency. He invested too much in what Dr. Abij’s public relations saturated moves towards many directions, including in the direction of faltering despotic regime in Eritrea. A high risk gamble of all was marriage of convenience with the sworn enemies of everything Ethiopia witnessed since the fall of the monarchy plus since the demise of the Derg. This is breathtaking and thank you for enlightening us Eritreans on Ethiopia. The article sole focus on the affairs of our neighbor, which may not be the driving force of our fate as Eritreans, should have weighed in the implications to change in Eritrea. Saese’mo hadarka aytresee – the tigrinya bihil that reminds us to refocus on our affairs. Part of the shift of the Amharic constituency not to support Abiy any more is – their realisation Abiy is too weak to play with the Constitution. His unconstitutional boarder commission, country wide census, education road-map, dissolving of the EPRDF parties etc…have died on arrival. Regardless of how much he encircle himself with the Unitary, Diaqons and Dergue/G7 types ( which Isiaias and USA looks a huge support) the federalist power is relentless: Tigray setting as an example. Abiy’s job was easy : to bring the best from the Oromo to lead the country to democratisation. Instead he relied on his corrupt cadre only Opdo pool while sidelining OLF, the Oromo intellectual and the activist base, while flirting with anti-federalists. My short term wish is; to see a party which articulate well the Oromo interest and fully committed to fulfil it. In the process – they will recognise the Oromo interest is dependent on its neighbour and the wider nation. “When Isaias visited Gonder, Abiy declared that Isaias’ grandfather was buried there and gave the PFDJ-Gonder alliance a boost. But now, the Isaias-Abiy relation is becoming lukewarm, and Abiy is torn apart because his Oromo constituency is not interested in the PFDJ-TPLF squabbles”. Some more time..Not yet finished friends…Time will come,,when they will lose control,, Just wait and see ..
“Abiy was quick to realize the danger of losing Gedu’s constituency, thus, he moved frantically to appease Gedu’s on his expansionist agendas.” It seems to me Abiy is no more loved by people and just clearly can be seen those days more to see sometime more..Just wait and see . Dear Ethiopians participants like Horizon and others.. say your say and make your stand clear..
Hey KS; How are you? Hope everything is oaky. I see what you are saying but In the business of governing; there is no love or respect with being feared. Until PMAA realizes that, the problem in Ethiopia will not stop. How are you doing with your health. I hope everything is well with you. Thank you..for the above..I am fine..You don’t have to worry..I will contact you..